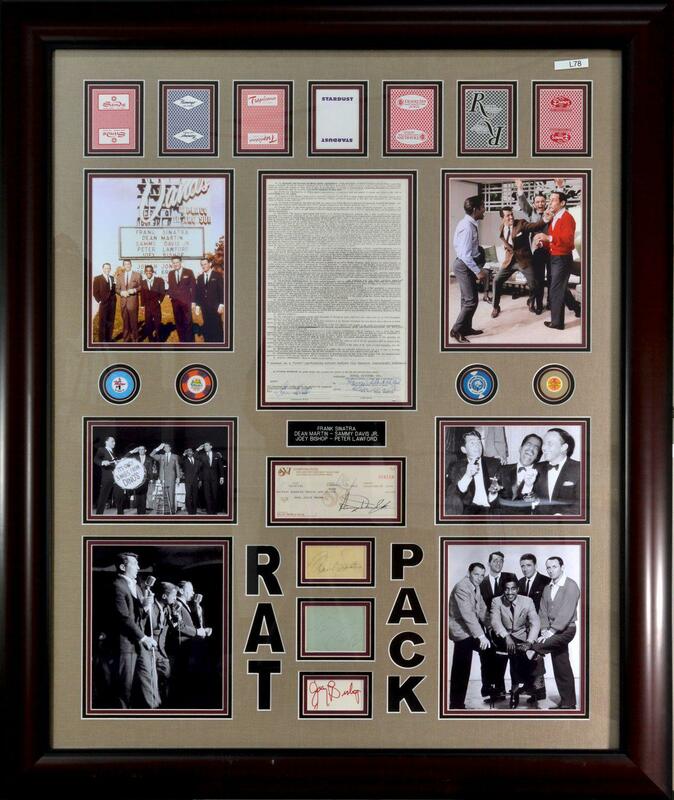 Rat Pack framed memroabillia with photos, original contract and genuine signatures from each artist. Custom framed. Frame size: 46 x 37 inches.